Situated in a peaceful cul-de-dac street in Schnapper Rock is this fantastic family home. Built in 2007 with private north facing grounds designed to capture sun throughout the key entertaining areas. 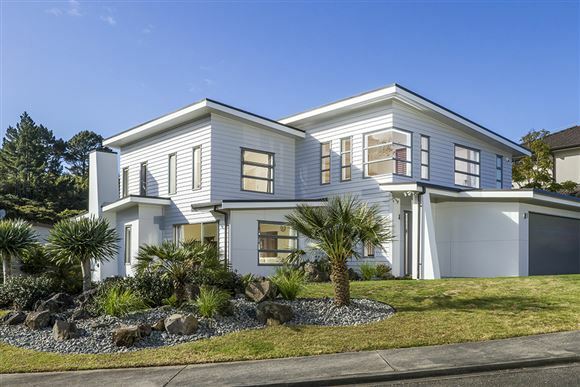 With polished concrete floors and a feature staircase this home has design flair and is an individual standout property. A stunning entertainer's kitchen opens out onto a lovely BBQ area, perfect for parties and gatherings with friends. A second lounge that you can shut off will also appeal to families. Four double bedrooms including master with ensuite and extra-large walk in wardrobe. Zoned for Upper Harbour Primary School, Albany Junior and Senior High Schools with popular Kristin and Pinehurst nearby. Act now and secure this unique home in a great location, it's not going to last for long!